THE SPRING WORKSHOP started in a Church Basement in Toronto with guest instructors Peter Metelnick and Alison Biggs. It was so successful that Vivienne together with Fred & Eddie Buckley decided to try it again! This time Vivienne invited Kim Ray and Robert Lindsay, the following year Lizzie Clarke and Andrew & Sheila travelled over the pond to have fun with the Canadian dancers. At this point the event had outgrown its space and the trio decided to move to the Baron Byng Legion Hall where they host their Fall Workshop. Robbie McGowan Hickie and Kate Sala were the first guests here, followed by Craig Bennett and Dee Musk. The space was again too small to accommodate all the dancers wanting to attend and the next move was to the Thornhill Community Centre combining two of their large halls. With excellent wooden floors, air conditioning and a stage plus lots of parking, this is the current home of THE SPRING WORKSHOP. INSTRUCTORS: Guests here so far have been Maggie Gallagher, Ria Vos & Karl Harry Winson, Kate Sala & Jose Miguel Belloque Vane, Daniel Whittaker & Craig Bennett, Rob Fowler & JP Madge and in 2017 Roy Verdonk and Guillaume Richard joined the distinguished list of international instructors who have taught at THE SPRING WORKSHOP. In 2018 Maggie Gallagher was again the Special Guest Instructor. My Guests in 2019 will be **Simon Ward** and **Maddison Glover**. 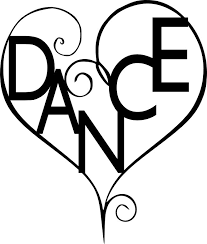 The instructors teach dances ranging from Beg+ to Intermediate and all the dancers learn together. There is a set play list which is composed of requests received before the event and posted on the website. There is instruction in the afternoon followed by a break. Then back for an evening dance during which the dances taught are quickly reviewed and danced again and the play list is followed. Close to the Thornhill Community Centre there is plenty of choice of restaurants in the area plus places to sit in the Community Centre for dancers who prefer to bring their own food. NOTE: Fred is leaving the DJ Booth so that he and Eddie can have fun and enjoy the event with their friends. Fred has done an amazing job over the years but it is now time for him to relax and have the opportunity to kick up his heels and learn from the Guest Instructors. However, DJ Adam kept the dance floor full with Maggie in 2018. EVENT DANCE: By tradition Fred & Vivienne have written a dance for the workshop each year with their guests, most of which have been published and have gone straight up to the top of the charts.